With my years of college schooling also having a solid foundation in leadership (i.e. 9th-11th grade class president and Student Government President during high school) I believe in doing what’s best for my clients. With my current career in pediatric dentistry, I see worried parents every day, wondering if their child is in the best care. It’s the same way people feel when searching for a place to call home, wondering if you’ll get the best option and information that’s clear and understandable. I strive to implement all of your concerns and requirements to locate the perfect home for you. With a high school and college background in developing customer relations and leadership training, LaMia has been able to leverage those qualities and skills into her transition into real estate. 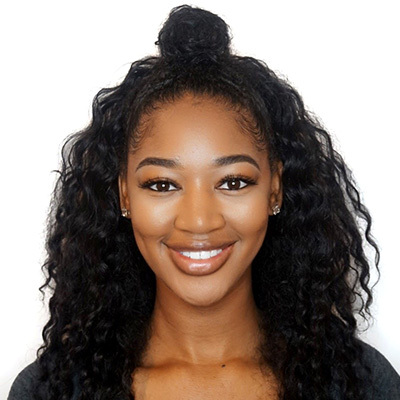 While working as a real estate assistant/transaction coordinator, LaMia has developed client relationships and mastered the technology and skills necessary to become a successful licensed real estate professional. Having learned the intricacies of the business, LaMia is now ready to take her career in Real Estate to the next level.